MANILA, Philippines — Aging victims of the Marcos dictatorship are urging the panel tasked to process their claims for reparation to speed up its work, saying hardly anything has moved in the two years since the law granting them compensation was enacted. Worse, the Human Rights Victims’ Claims Board will cease to exist by next year based on the law that established it, playwright Bonifacio Ilagan, vice chairman of the Samahan ng Ex-detainees Laban sa Detensyon at Aresto or SELDA, noted. “Forty-three years since the imposition of the Marcos martial law in the Philippines, and two years after President Noynoy Aquino signed (Republic Act) 10368 into law, the victims of human rights violations have yet to hear from the Human Rights Victims’ Claims Board, the government agency that oversees the reparation and recognition process. What gives?” Ilagan asked. Ilagan said SELDA members fear a repeat of the problems that hounded the 9,539 claimants in the successful class suit filed against the late dictator Ferdinand Marcos and his family, more than 3,000 of whom have found their names deleted, allegedly on purpose, from the list. In probably the worst case of deliberate deletion, former University of the Philippines physics professor Guillermo Ponce de Leon, who testified during the trial in Hawaii, is no longer on the list of claimants. Ilagan himself is no longer on the list, along with Alfonso Sabilano, who was convicted of double murder by the dictatorship but eventually acquitted. 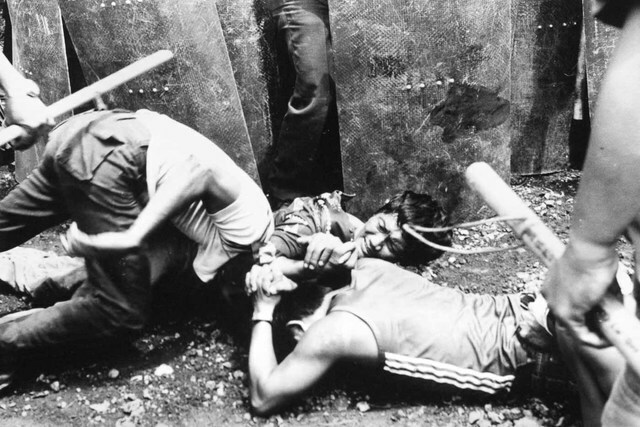 Many of the dictatorship’s victims, such as torture victim Carlos Ortega, have also died before receiving the $1,000 awarded them in the case against the Marcos estate. Other claimants are also in jail, among them National Democratic Front consultant Alan Jazmines and the couple Benito Tiamzon and Wilma Austria, the alleged chairman and secretary general of the Communist Party of the Philippines, both of whom are sickly. Many of the elderly victims have also complained about being required to personally appear before the Board to file their claims. “Noting that many of the victims have succumbed to poverty-driven illnesses, SELDA raises a collective question: ‘Aanhin pa ang damo, kung patay na ang kabayo (What use is the grass if the horse is dead)?’” SELDA said. “The Facebook account of the Board itself is deluged with posts reiterating immediate reparation and recognition,” Ilagan said. SELDA said the delay in granting the compensation “reflects how the Aquino government treats human rights victims then and now,” as it noted that instead of diminishing, the number of human rights violations has increased in the waning months of the current administration. It also pointed out Aquino has yet to name a replacement for former HRVCB member Chito Gascon, who is now chairman of the Commission on Human Rights, causing even more delays in the panel’s work.